An operating model should change as conditions change. Yet many companies operate with the same model they have had for decades. The time to redesign is now. Each of these scenarios demands a rethink of how a company goes to market, how it operates, and how the back-office will best support it. Markets, customer requirements, competition, and other conditions shift over time, yet many companies operate as they did 10, 20, even 100 years ago! 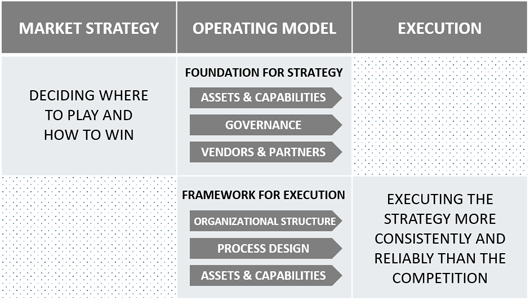 A good operating model links strategy and execution. Updating the operating model is often the single most transformative action a company can take. Why? 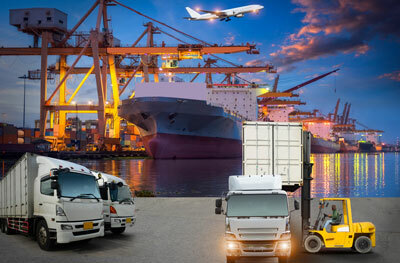 A company’s operating model provides the critical link between its market strategy and the execution of that strategy. It defines how the company organizes and aligns decision making, assets, and operations to deliver value to its customers. 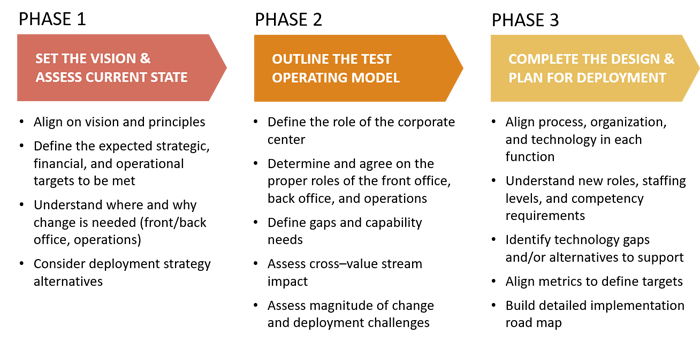 In essence, an operating model addresses the questions of who does what, where it is done, how best to deploy assets, and how to make decisions. If you get those answers wrong, the chances of success are dismally low.